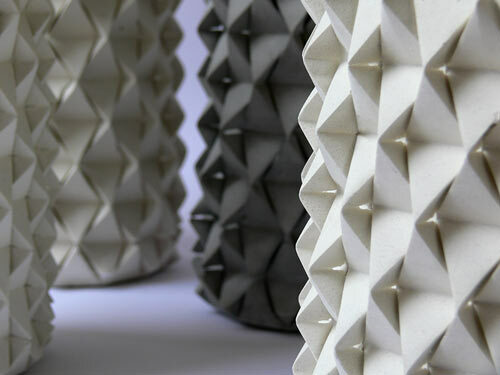 Israeli designer Ofir Zucker and origami artist Ilan Garibi created this series of vessels made of concrete. 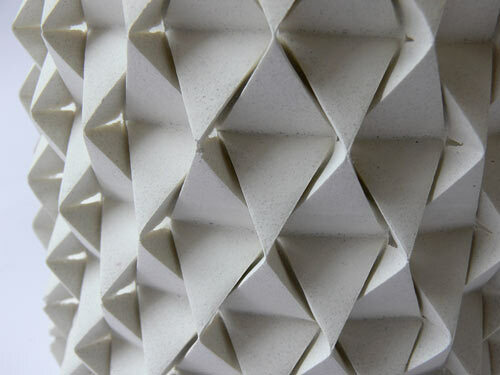 The exterior origami-like pattern and texture remind me of pineapples. 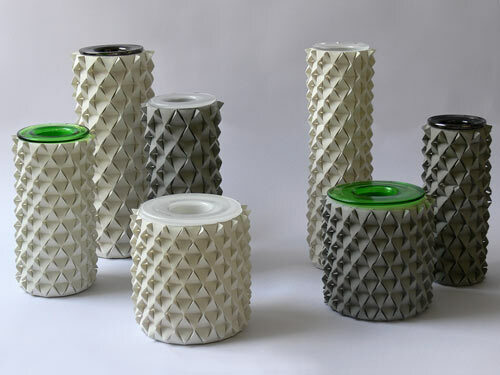 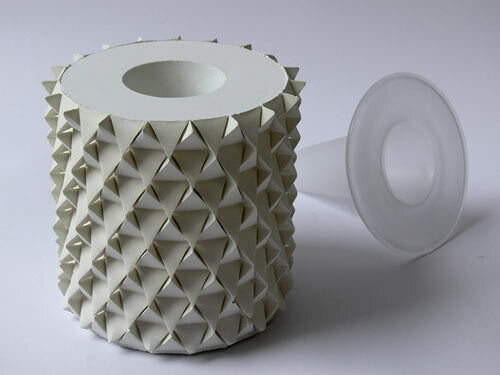 The vases are cast inside of a hand-folded origami mold, which has a one-time only use. 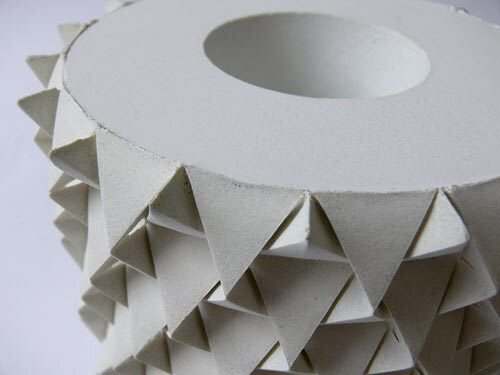 Once the concrete hardens, the paper is peeled off, making each piece a unique object.